Once again summer is here, and my family is planning its annual trip to Maine. We’ll all cram into the old riverside home that was once my great grandfather’s, a naval man who never did hide his love for the sea. The walls are still covered with regalia from his days on the water, and this maritime-themed hostess gift will definitely fit right in! 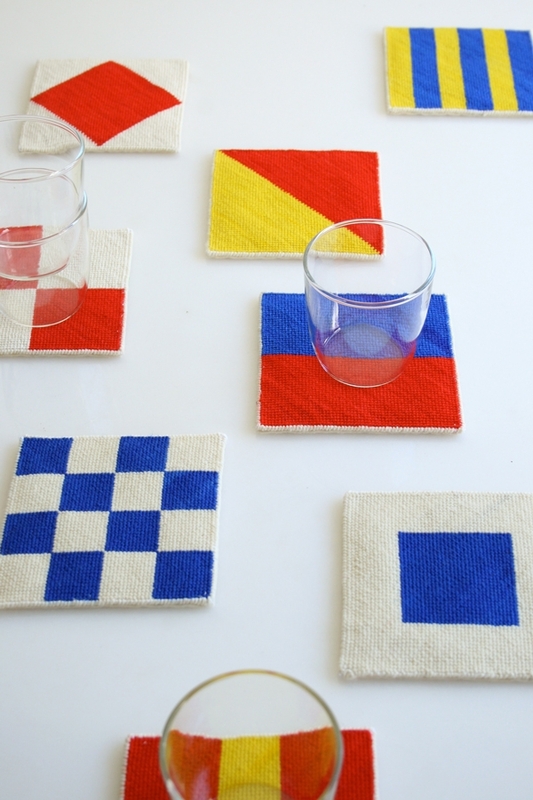 These Nautical Needlepoint Coasters go hand in hand with last year’s Nautical Flag Napkins. Both take advantage of the amazing graphics and colors of the traditional nautical alphabet. To get the pop of really saturated reds, yellows, and blues I turned to the beautiful hand dyed colors of Koigu’s Premium Merino. And for a table-friendly backing, I used Wollfilz Wool Felt, so soft and gentle! 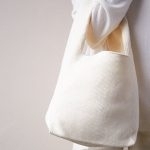 This project is so portable it fits right into the small pocket of a tote bag, so I know I’ll be whipping out my needle and yarn a couple more times this summer as I head off to visit friends and family, arriving with the perfect gift in hand! 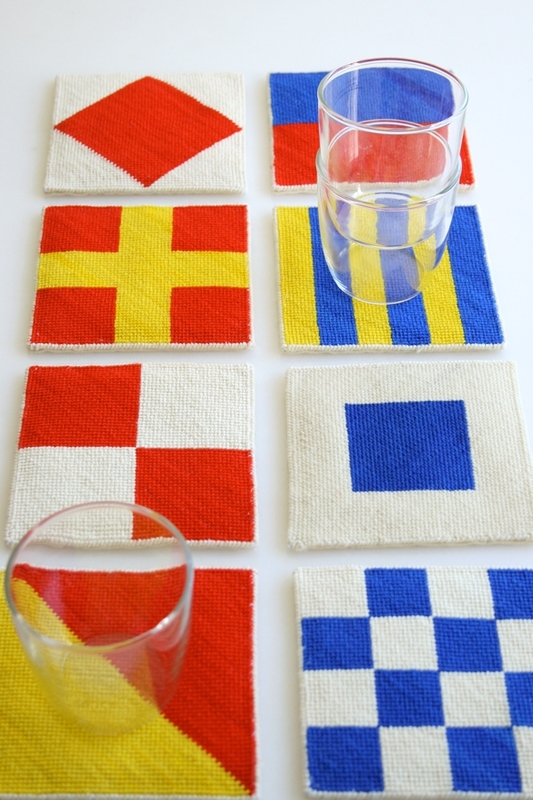 Make just a simple set of two coasters for the bedside or for fun, choose flags that spell something personal. These eight coasters together are the letters of my family’s name, F-E-R-G-U-S-O-N! 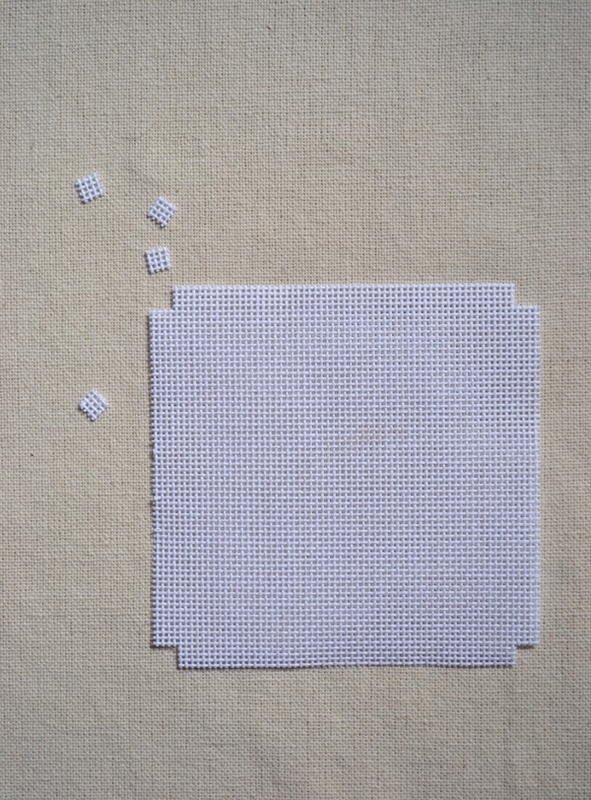 Blank 13 Mesh Needlepoint Canvas, I used the color white. 1/4 yard is enough for 16 coasters. Koigu’s KPM Needlepoint Yarn (11 yards) or Koigu’s Larger Skeins of KPM Yarn (175 yards each). Each coaster takes approximately 35 yards of yarn. 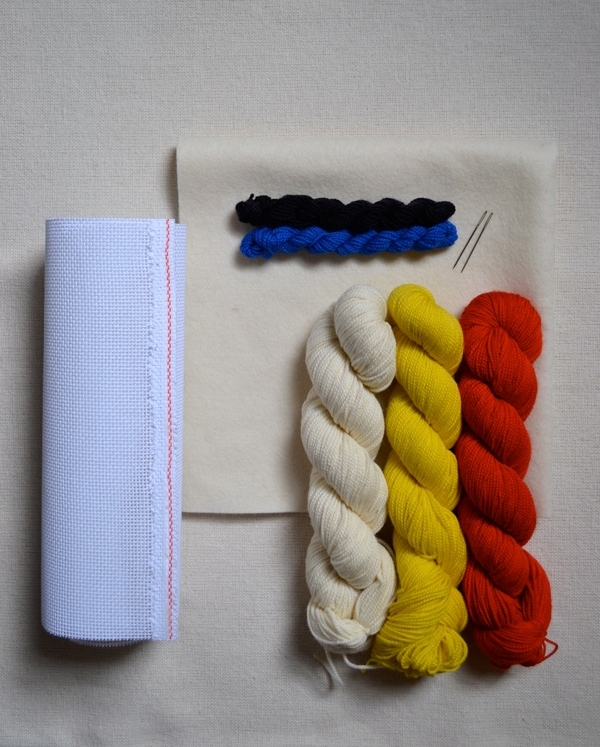 If you are making multiple coasters with the same colors, it is best to buy the larger skeins of KPM. I used colors 0000, 1000, 2100, 2229, 2400 for the white, blue, yellow, red and black. Wollfilz Precut Wool Felt, I used the color Ecru. 1 piece is enough for 16 coasters. Cotton thread. 1 spool to match felt. I used the color 1040. 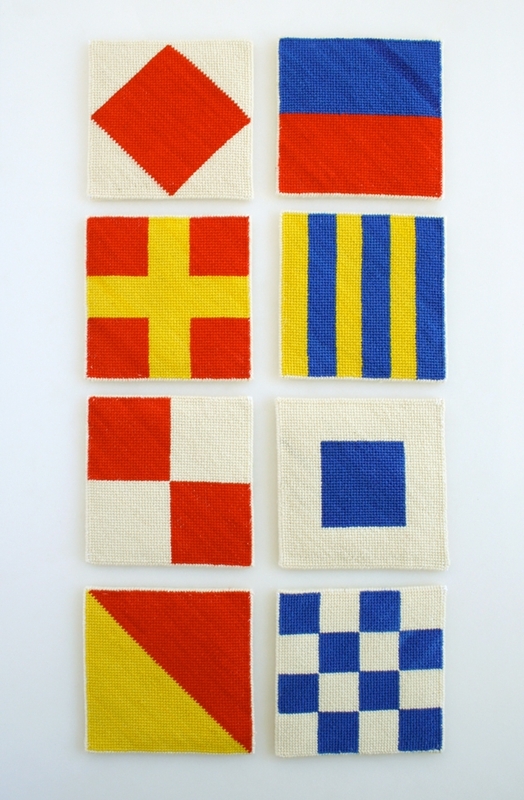 Free Nautical Needlepoint Coaster Patterns. 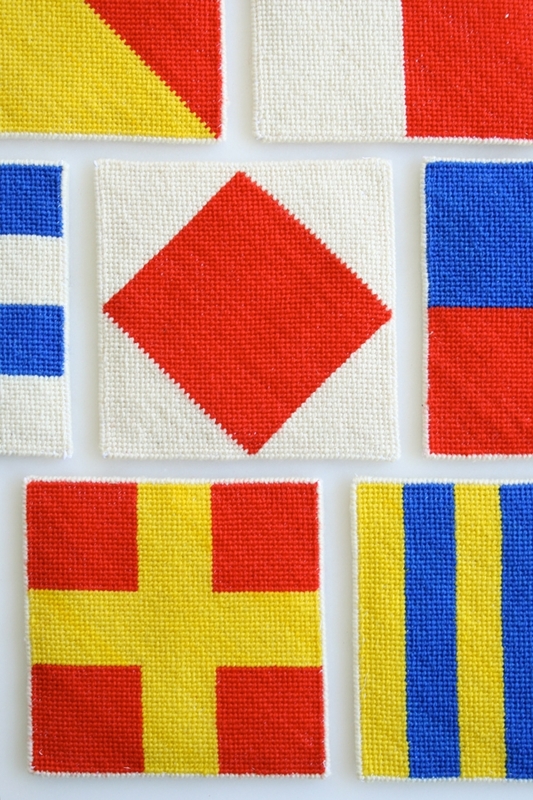 From the needlepoint canvas, cut one 4 1/2-inch square for each coaster. From the felt, cut one 4-inch square for each coaster. Put these to the side for now. 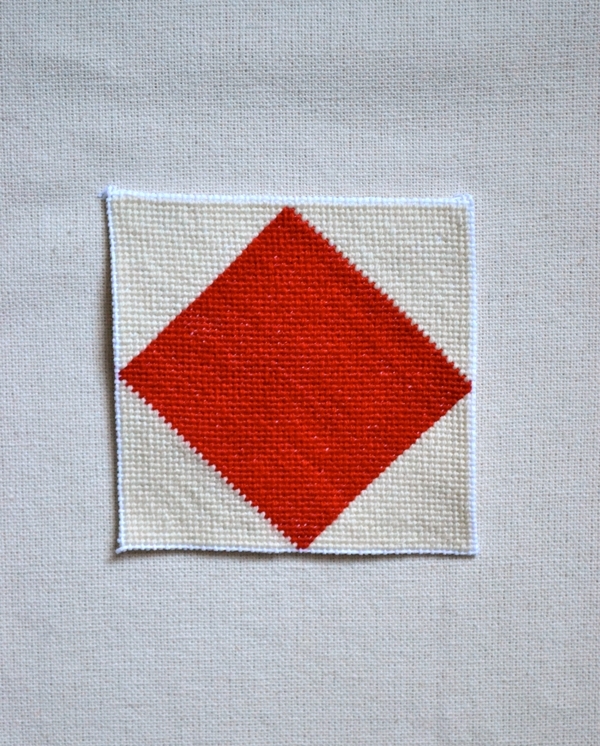 Cut a square, approximately 1/4-inch by 1/4-inch out of each of the four corners of your cut pieces of canvas. Fold one edge of the canvas back 1/4-inch to align with the cut you made out of the corner. 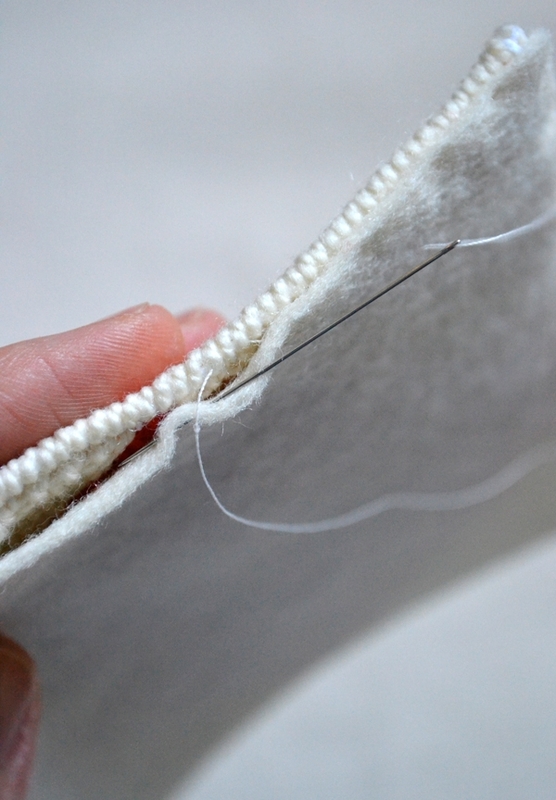 Using the matching cotton thread, hand sew the folded edge to tack it down, taking a stitch every 1/4-inch or so. Be careful to align the mesh. 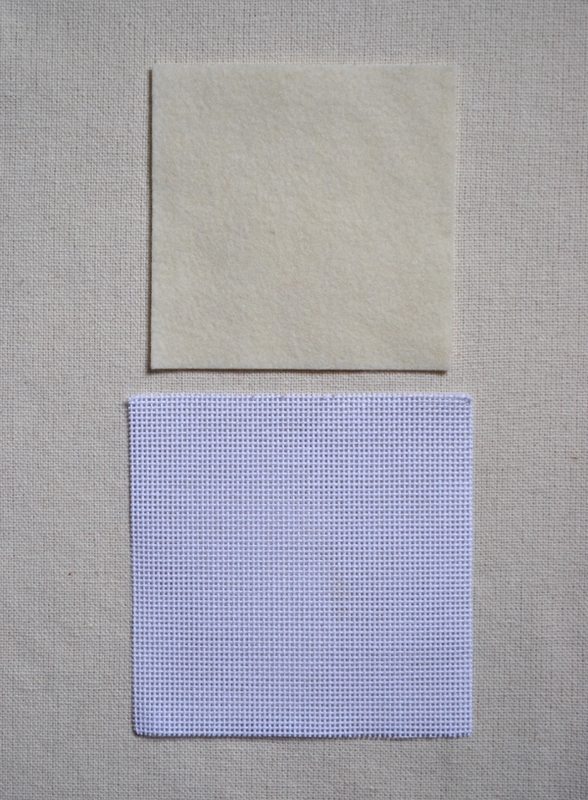 Later, You will be stitching through both of these layers of canvas. Repeat the previous step for the second, third and then fourth edge of the canvas, always carefully aligning the mesh. 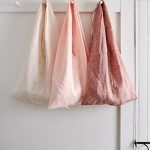 Now that the edges of the canvas have been hemmed, you are ready to needlepoint. Using the provided Nautical Needlepoint Coaster Pattern, use the basketweave stitch for the entirety of the square canvas. 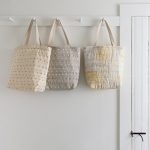 If you are unfamiliar with the basketweave stitch, you can find a tutorial right here! 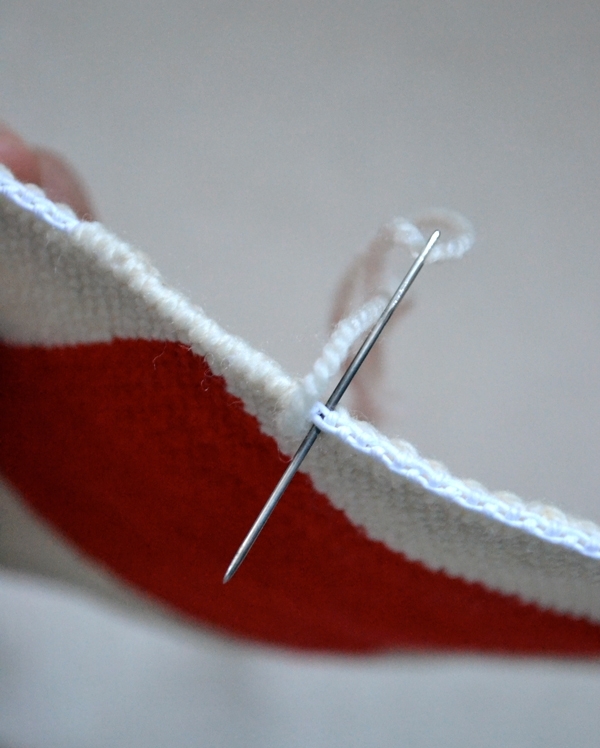 With your tapestry needle threaded with the ecru yarn (Koigu’s color 0000), use a whip stitch to finish the edges of the canvas. Take of the the felt pieces you cut and hold it to the back of the canvas. 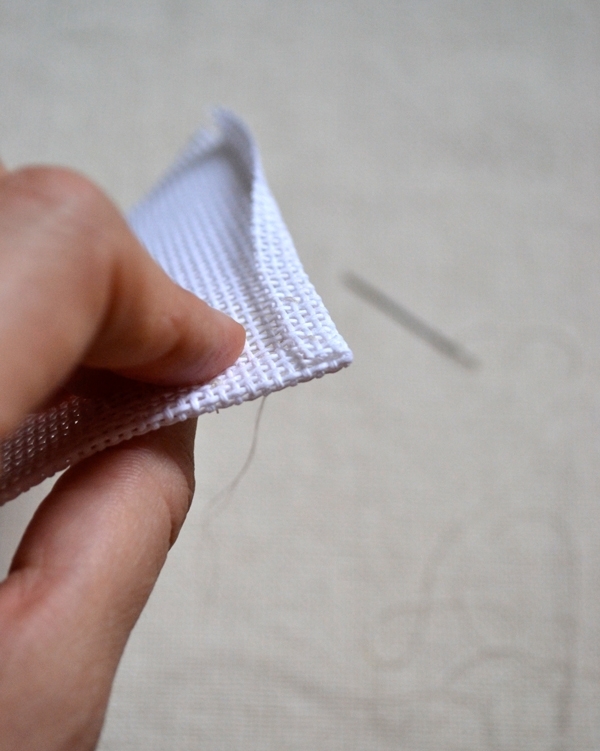 With a needle and cotton thread, hand sew the two squares together using a blind stitch. You’re finished! Make another for a pair or several more to spell something out! Is there a secret for the loose threads created when cutting out the corners?